Impairment when it comes to operating a vehicle can take different forms. A driver can be distracted by an electronic device, become drowsy and take their eyes off the road, or their cognitive functions negatively affected by drugs or alcohol. This can sometimes lead to severe accidents, causing massive property damage, personal injury or even wrongful death. The aftermath can result in lawsuits that take time and energy away from other matters that may be more important. This means it is vital in understanding the impact of these influences in order to eliminate or reduce their influence and protect both property and life. Alcohol and drugs are substances that can seriously affect a driver’s attention and ability to safely operate vehicles. The effects of specific drugs differ depending on how they act in the brain. For example, marijuana can slow reaction time, impair judgment of time and distance, and decrease coordination. Drivers who have used cocaine or methamphetamine can be aggressive and reckless when driving. Certain kinds of sedatives, called benzodiazepines, can cause dizziness and drowsiness. All of these impairments can lead to vehicle crashes. Recently, accidents caused under the influence of illegal drugs surpassed those caused by drinking and driving. The Federal Motor Carrier Safety Administration has implemented testing for illegal, prescription and other drugs as well as the influence of alcohol for these truck operators to assist in reducing the negative impact of influenced drivers. Because of the possibility that a truck driver may be drinking or taking drugs while on the job, any employer is required to test a potential employee before they are officially hired. In addition, random screenings are also part of federal regulations to ensure during these periods no one falls through the cracks. In the event of an accident, a driver is usually tested immediately after to prove liability. If a truck driver is taking prescription medication as ordered by a doctor, it is vital for a truck driver to check any potential side-effects for safety reasons. Many medications can cause sedation, dizziness, drowsiness, and other side-effects that could affect their ability to safely operate their vehicle. Warning labels on the bottles, papers included with the medication, and the pharmacist’s instructions should always be heeded before you take your medication and get behind the wheel. A different form of impairment include different sleeping conditions such as sleep deprivation or sleep apnea. Truck drivers who are on the road too long without sleep increases the possibility of an accident due to drowsiness. Sleep apnea and narcolepsy may cause a person to forcefully sleep without his or her intention. Both issues may lead to catastrophic mistakes on the road. After any accident involving a commercial truck happens, it is important to seek legal assistance to discover if a claim is necessary. An experienced personal injury attorney in Hollywood, Florida is often needed to help you get compensation for health bills not covered by the insurance agency policy. Impairment may be an easier case to prove when compared to negligence or other matters. It is best to contact a lawyer to proceed with a claim. Did you or a loved one sustain serious injuries due to a truck accident in Florida? Don’t let the medical bills pile up while you wait for the negligent party or their insurance company to do the right thing. Right now, you need an aggressive personal injury attorney on your side, fighting to get you the compensation you need, want, and deserve. The skilled attorneys at Lawlor, White & Murphey represent clients injured in trucking accidents all throughout south Florida. Our toll free number is 855-347-5475, and our local number is 954-525-2345. You can also fill out our online contact form to schedule a free consultation about your case. Our main office is located at 2211 Davie Blvd, Fort Lauderdale, FL 33312. 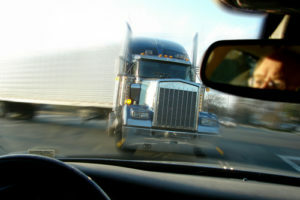 A Big Rig Hits You in Florida: Who's Liable?